Designed to focus on railroad safety and correct train handling procedures, this course is specifically for industries that use loop or lateral tracks as a means to load and unload commodities or other materials on company premises. This course focuses on safety and correct train handling procedures. It is designed for industries that use loop or lateral tracks to load and unload commodities or other materials on company premises. 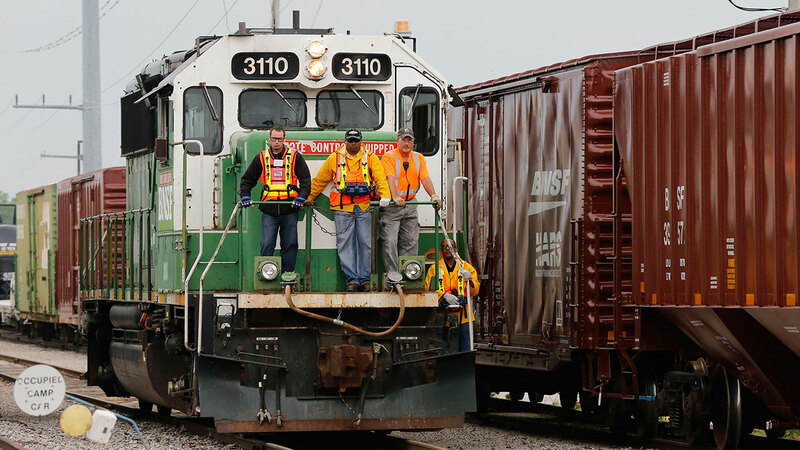 This course fulfills the requirements of the BNSF Locomotive Utilization Liability Agreement (LULA) by allowing customers to take control of a train while loading and unloading goods at their facility. Students will have the opportunity for hands-on application during the second day of training, and an additional day may be added to cover Distributed Power. Those completing the class will receive a Certificate of Completion verifying the ability to safely operate a locomotive on the customer's private track. Prerequisites: Only current railroad industry employees may enroll in these courses. Company must have a Locomotive Utilization Liability Agreement (LULA) in place with BNSF. Location: All Industrial Rail Operations Training is conducted at the customer's facility.